This next party feature seriously makes me HAPPY just looking at it! 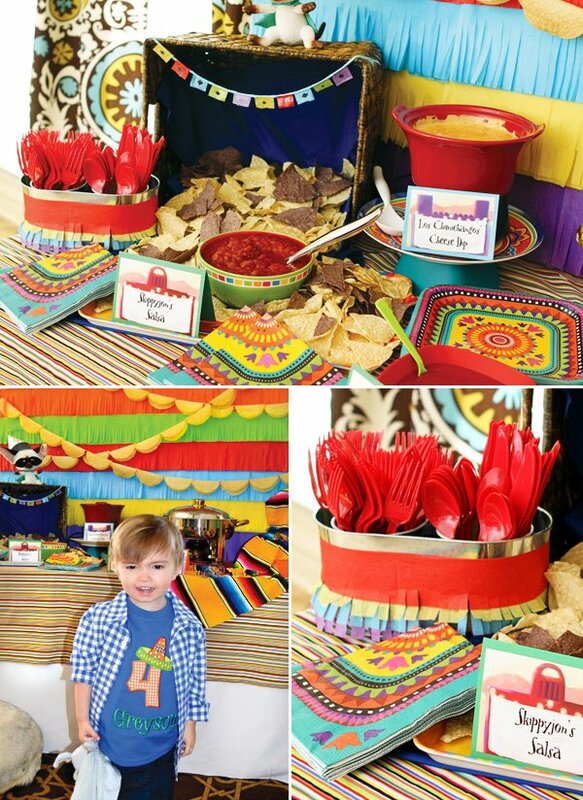 :) And with Cinco de Mayo coming up soon, the timing of this fabulous, Skippyjon Jones inspired “FOUResta” 4th birthday party by Brittany of GreyGrey Designs couldn’t be better… I’m definitely seeing lots of taco shell garlands being created in the near future! 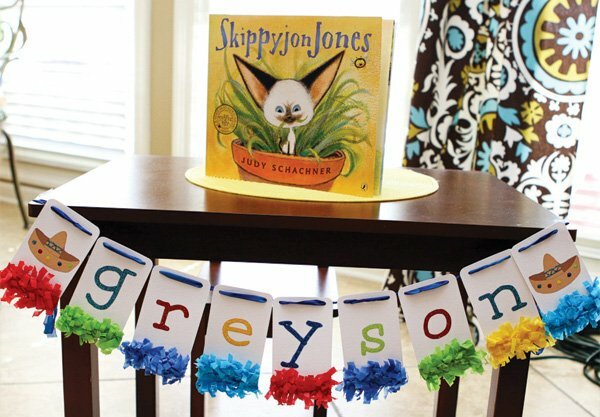 I somehow wasn’t familiar with Skippyjon Jones before laying eyes on Greyson’s birthday party, but one look at these pics and some quick research on what this little guy is all about, and I’ve already fallen in love! A “Siamese kittenboy that takes on the superhero persona of the great Spanish sword fighter Skippito” and invites readers along for zany, wild adventures? Um… yes, please! When I started planning my Greyson’s Fourth Birthday, I knew that I wanted to have Mexican food. Mexican is his very favorite food in all the world (just like his Daddy), but I knew that I didn’t want to do a general fiesta party. So, that’s when the idea hit me to do a Skippyjon Jones birthday party! Skippyjon Jones is a series of books that Greyson received as a gift from my sister a few years ago. 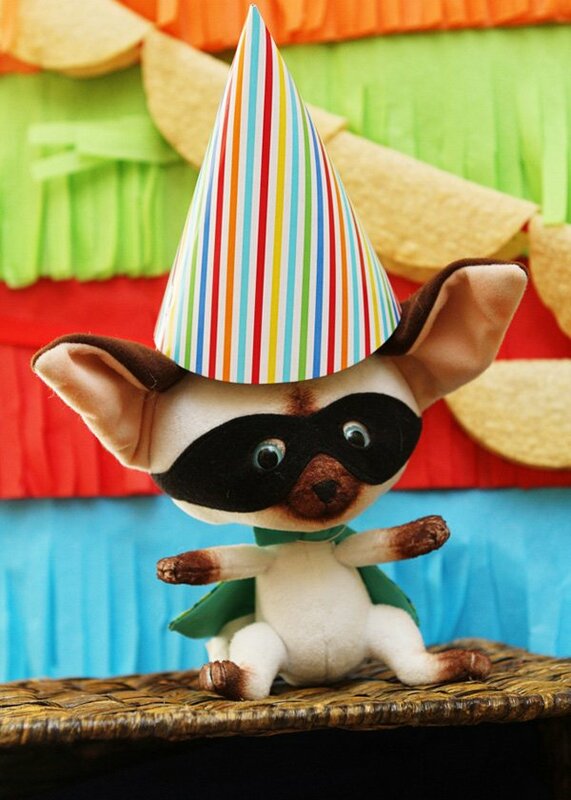 The premise of the books is that Skippyjon is a Siamese cat who thinks he is a Chihuahua superhero. His imagination takes him on all kinds of adventures and the first book in the series is about his journey to Mexico to meet his band of Chihuahua friends, the Chimichangos. There are no Skippyjon Jones party items on the market, so we had to start from scratch on everything. So, once I had this idea in mind, I contacted my dear friends Do and J at Piggy Bank Parties to help me with the invitation. As usual, they took my vision and completely expounded on it. 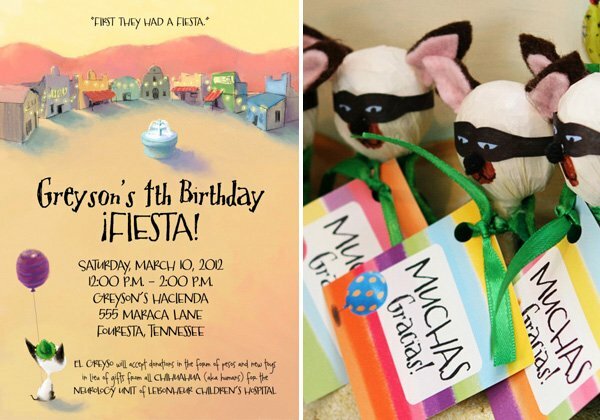 They created this gorgeous invitation with the graphic of a pueblo, and Skippyjon’s back in the foreground. They also created an entire collection for me, which I am slightly obsessed with how they look like little Pueblo houses! Piggy Bank also made a gorgeous Papel Picado-inspired banner. The colors were so brilliant! Instead of gifts, we asked that our guests donate toys or monetary donations to LeBonheur Children’s Hospital. Greyson is a patient there, so we felt like it was the least we could do. And, if your kids are like mine, they have more toys than they know what to do with. 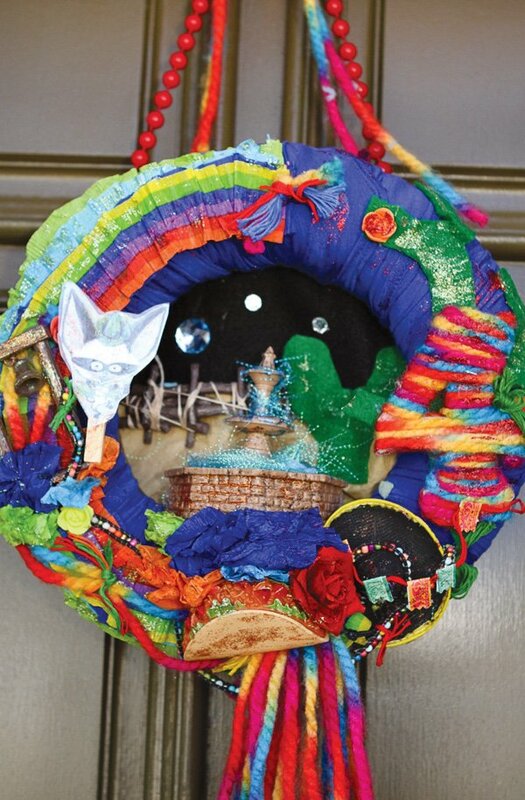 I also knew that I had to have Natalie at The Knock Knock Factory make me one of her outrageous door hangings. The level of detail is amazing. There is a full on fountain in the middle of it! And a taco, and a mission bell, and a sombrero! I couldn’t bear to put it away, so it is hanging on Grey’s closet door in his room. And it will stay there for a long time. Now, everyone knows that I like to make a statement for my guests when they enter my house. 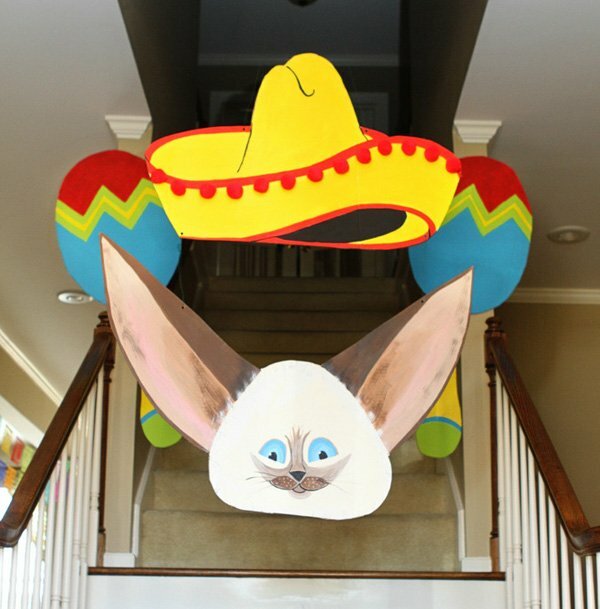 Last year it was a 9 feet tall hamburger… this year, a giant Skippyjon with a sombrero and maracas. I always hang these large pieces using floral wire and command strips. Command Strips are pretty much the best thing to happen to event planners in years. I hand painted all of them onto science fair backdrops, which I cut into the shapes that I needed. That Art degree does come in handy! For decorations I had authentic Papel Picados hanging around the house. I also had this idea one day that I wanted to display the taco shells in a creative way. I thought taco shells kind of look like bunting if you turn them upside down! I consulted with my party guru friend, Kristy of The Purple Pug, and she said to run with it! I am pretty sure I confused everyone though. I caught my grandpa looking for taco shells and had to tell him that it was okay to eat those! The backdrop was painstaking, but I love how it turned out. I wanted it to be like a giant pinata. So, hundreds of pieces of tissue paper later and one worn out scissor-hand, it was gorgeous. 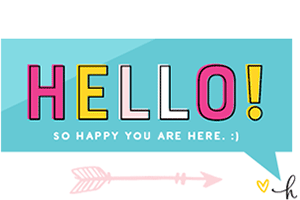 For Greyson’s special birthday spot, Purple Pug made me this fabulous little banner using her new product line. I was honored that she let me be one of the first recipients of this fabulous new stuff! It’s so gorgeous up close–glittered of course! And how great does the fringe go with the backdrop? For the little ones, we had juice boxes wrapped with cute slogans. And, since there were a lot of adults at the party, we did beer and margaritas. It was pretty fun to see our moms drinking margaritas at noon. And, what else do you eat at a Fiesta? Tacos! My baby loves tacos, so I did a build-your-own taco bar. 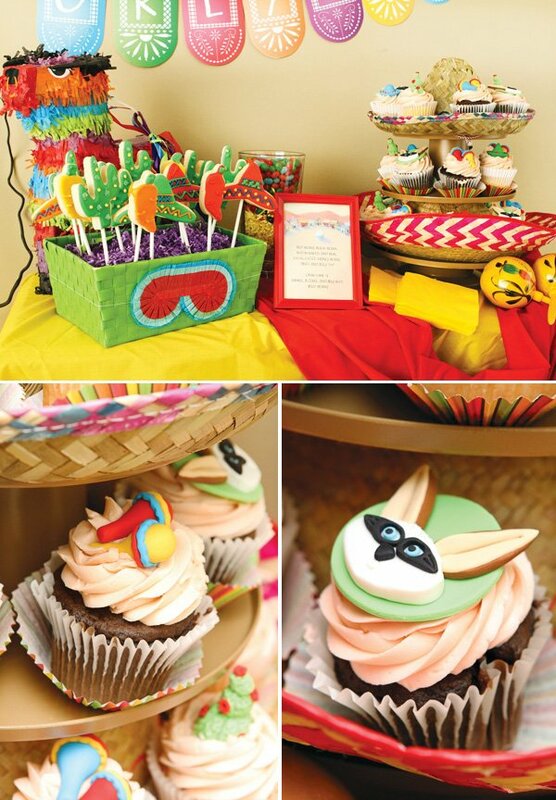 I wanted to keep the dessert table loose and make it feel more like a Mexican restaurant than a perfect display of cupcakes. 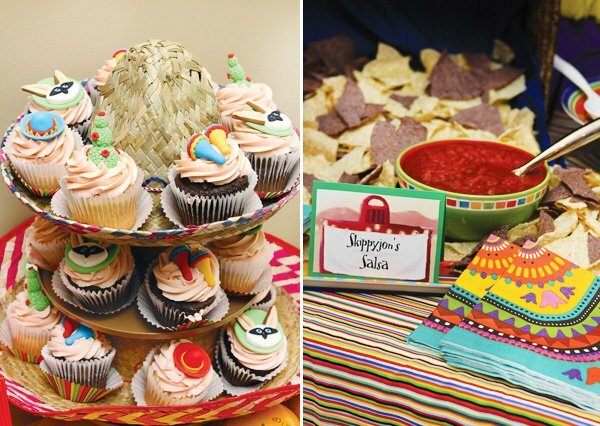 To get this effect I used sombreros as a cupcake stand! I made the cupcake stand using my old faithful Wilton cupcake stand. Did you know that you can spray-paint them? Well, neither did I until I tried it! I cut the top out of the bottom sombrero and that allowed me to stack the cupcake stand together. The unbelievable toppers are by Lynlee’s Petite Cakes. The cactus was my favorite, it was even prickled! In the books, Skippyjon imagines all his adventures while he is in his closet! So, I wanted to put the favors in his “closet.” So, I painted this box and hinged it open to make it look like a door. Then, on the inside, I painted a desert scene and displayed the pops in some foam that I covered in sand patterned scrapbook paper. These SkippyJon pops are from Whimsical Boutique, I won these in a giveaway that Purple Pug had and Leanna absolutely did a great job! They were so precious that I cannot even stand it. And those favor tags from the printable set were pretty awesome too. Muchas Gracias Amigos! 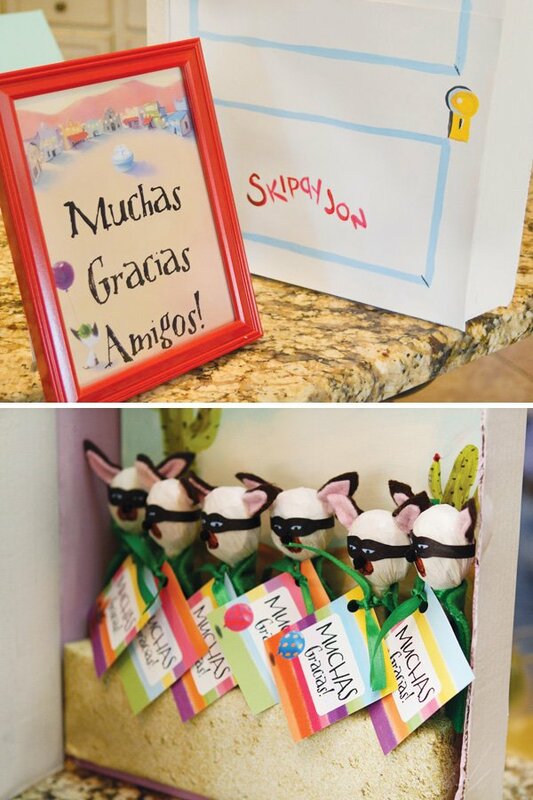 Hope you liked the Skippyjon Jones party! 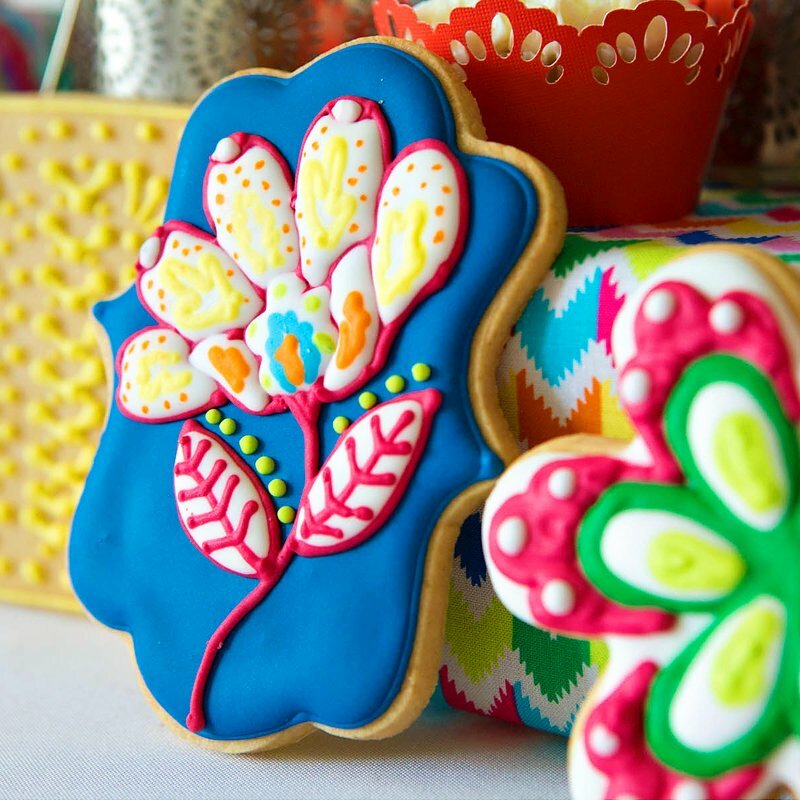 – Cookies: Whimsy Cookie Co.
Aw, I love the taco shell garlands! 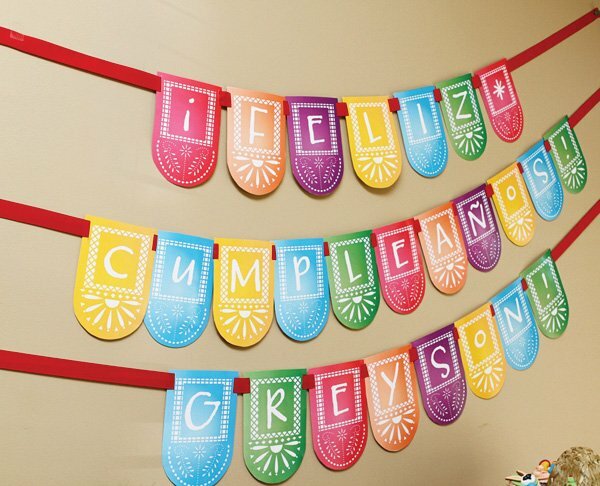 Originality to the next level.. love it love it..
lol about grandpa – love the taco shell bunting! I love this! I read Skippyjon Jones to my little lady all the time, it’s one of our favorites! Way to go! LoVe every detail of Greyson’s Four-esta! Brittany is brilliant and the taco bunting makes me weak in the knees! Thanks for the sweet feature, Jenn! 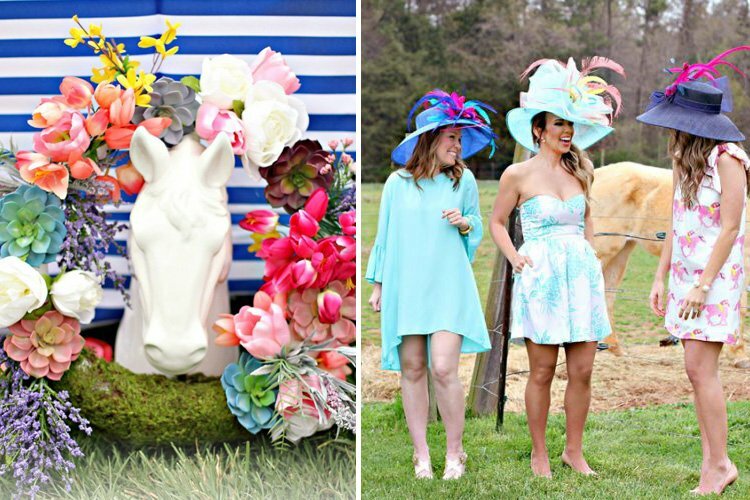 The hats with the cupcakes is over the top! Love the banners too! Everything is so festive! LOL those tacos hanging on the backdrop are soo funny. Love the whole “make your own taco” idea. Great job!! How fabulous! And so original! My 2 year old and I both love SkippyJohn Jones. LOVE this party!! Brittany’s ideas are just spot on and genius! 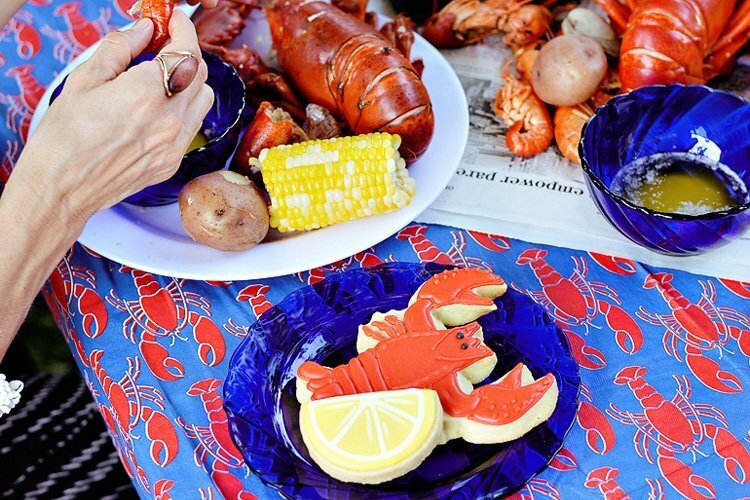 Such a creative, bright, and FUN party. LOVE, LOVE, the taco garland!!!!!!!!!!! Great party, Brittany!!! Your eye for details is amazing! Love your work!!! Hi there…I love reading Skippyjon Jones to my Kindergarten class. 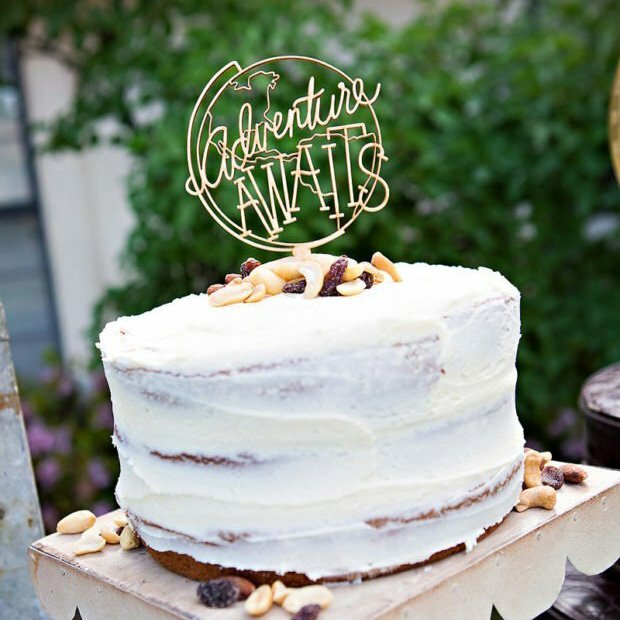 I’ve nominated your blog for the Versatile Blogger Award because I love all of the creative party and hosting ideas! LOVE!!! 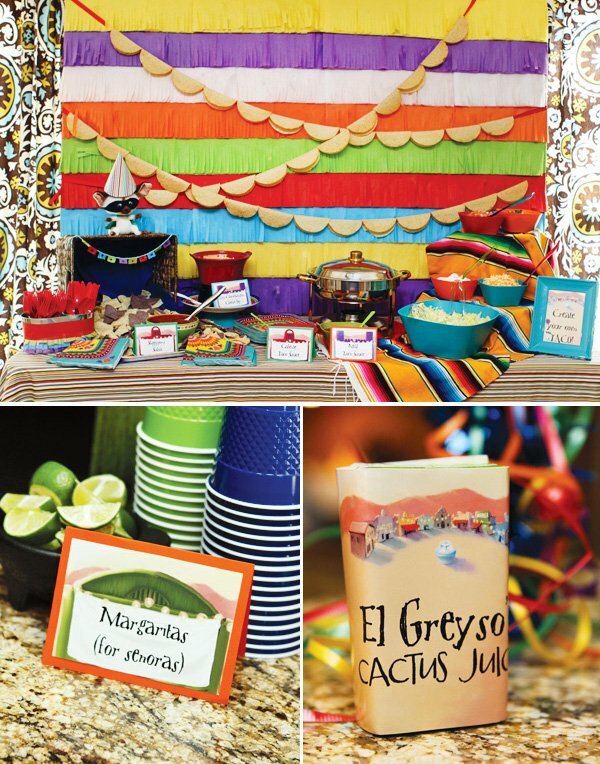 Amazing use of the tacos and I adore all the little details! 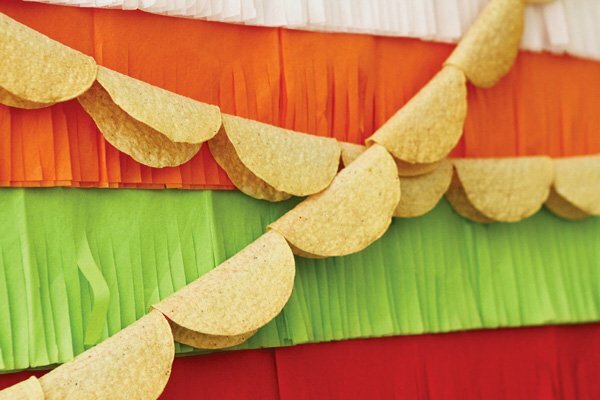 The taco shell garland is pure genius! As always I love your son’s wonderful parties! Love how colorful it is and how it can be fit for someone of any age. I absolutely LOVE Skippy John Jones! 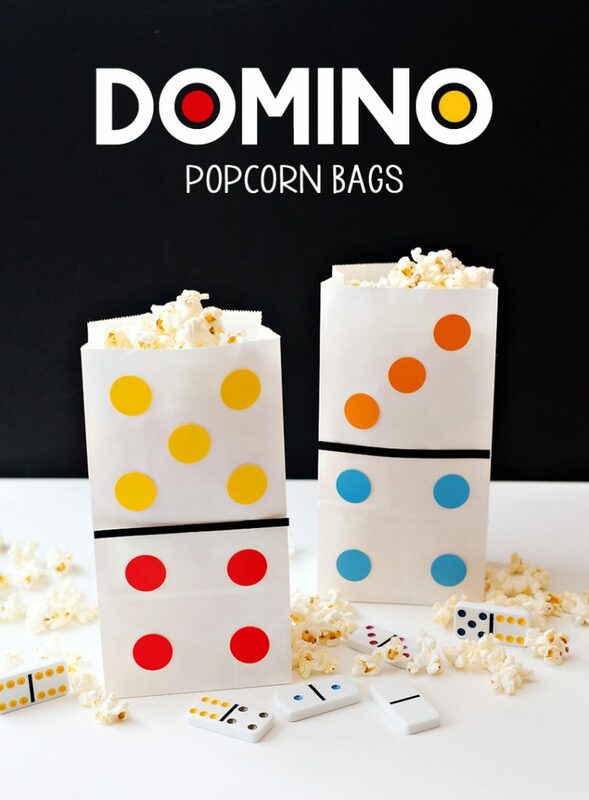 What an incredible idea for a party! 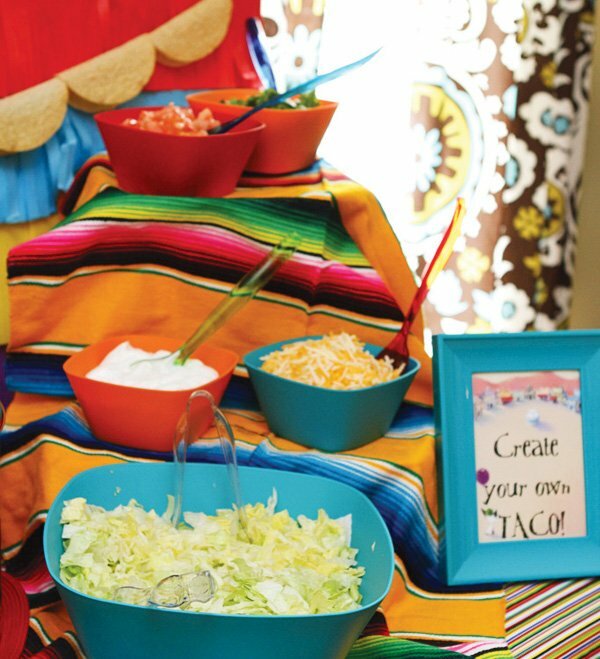 Did you make the board that is holding the taco shell garlands? Or did you buy that? Awesome!